Formaat 100x70 cm. Acryl on canvas. 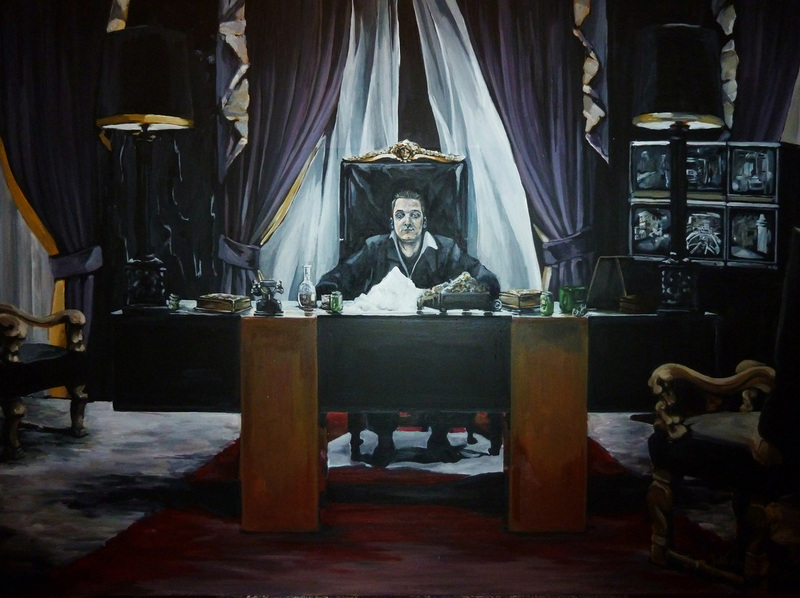 In this painting the owner of the painting in a scene of Scarface (the movie). Completed the request with personal favorites such as Heineken beer cans. The tv screens show his workshop and his van. Do you think I nailed it? Let me know!